Changing perceptions with video marketing and viral advertising. OK, let’s be frank here. Very few businesses have the budget that John Lewis does to chuck at video marketing and viral advertising. There, we’ve said it. However, the way in which John Lewis has used its video to drive sales is a good case study example and actually there’s a lot that we can take away from it to help ourselves. Arguably John Lewis’ greatest successes with online video have been their Christmas TV advertising campaigns, which have almost become as big as the brand itself. 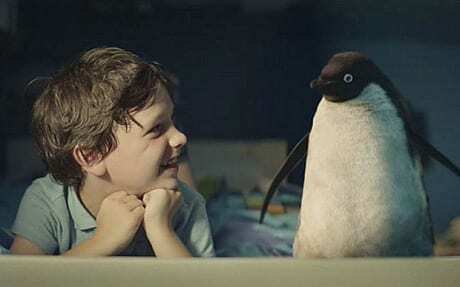 For the past few years they’ve tugged on our heartstrings and made us feel all warm inside with these highly anticipated adverts, usually featuring a child, a present, and a small cute creature (you choose). By tapping into our seasonal goodwill and desire for traditional warmth and togetherness, John Lewis brings out our collective emotions in a way that forms a long lasting bond. We all know the saying “a dog is for life not just Christmas” but you could also apply the same rule to John Lewis adverts. Yes, they will probably appear in any end-of-year ‘Best Adverts Of 2015 Compilation’ type of programme, but more importantly they have successfully established the brand in our hearts and created powerful emotional connections with us that will far outlast the festive season. Cast your mind back a few years to a time before the advent of the retail chain Christmas advert and viral advertising war. What was your perception of the John Lewis brand? I bet you a cuddly penguin that you didn’t perceive the brand as being current, warm, clever or thoughtful. In fact I’d be surprised if you had any firm opinions about John Lewis at all. For a few years it seemed that they were losing business to retailers that displayed a little more brand personality. Now that’s not to say that they’ve come from obscurity and transformed themselves into the rock ‘n’ roll king of department stores, and that’s not what we want from them. They have however become a brand that everyone not only knows and gets talking about every year, but has an opinion of as well. For the most part this is due to the impact of the Christmas advertising campaigns combined with skilful viral advertising and their effect on us collectively. They are a brand that is now firmly on our radar, which is exactly what they intended. The power of video to control our emotions in this way is something that, with creativity and determination, any and every brand, business and organisation, whatever its size, can harness.